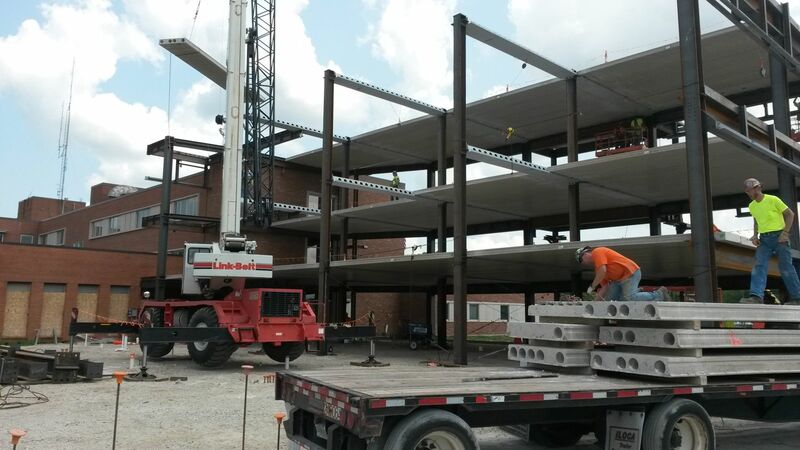 An expansion project in western Illinois is the first in the state - and the first at a U.S. hospital - to use DELTABEAM® Composite Beam. 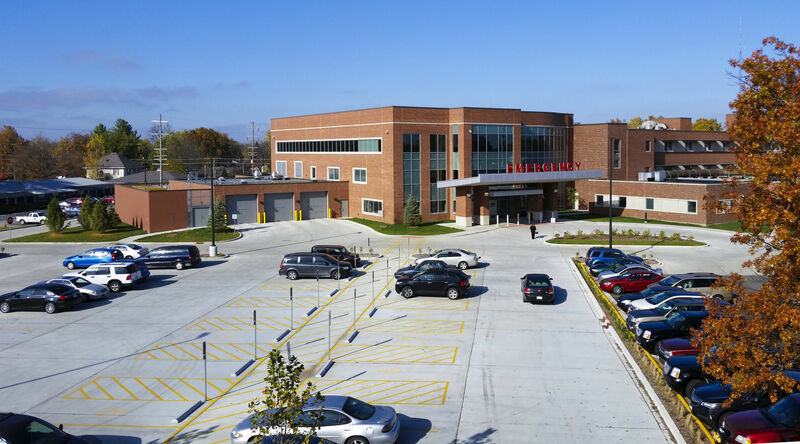 The McDonough District Hospital expansion in Macomb, Il consists of a 45,000 square feet three story addition to the existing original building constructed in the 1950s and ’60s. 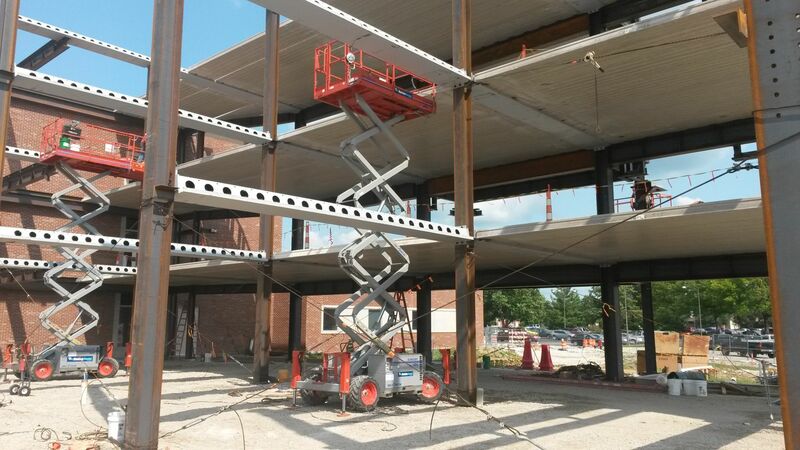 One of the challenges of many expansion projects is dealing with existing low floor-to-floor heights and making sure all levels remain at the same elevation. 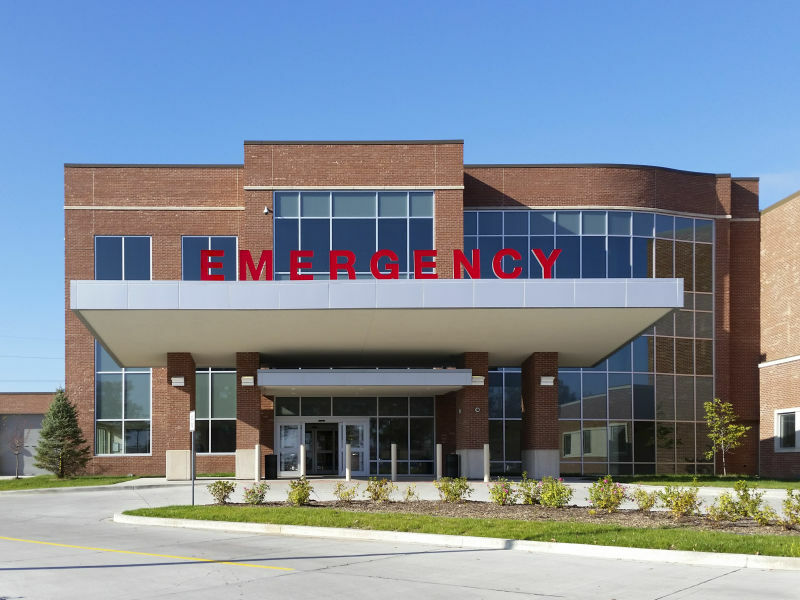 With modern healthcare facilities requiring taller ceilings for procedure rooms with advanced medical equipment, new additions must manage to squeeze every mechanical system in the tight ceiling plenums. 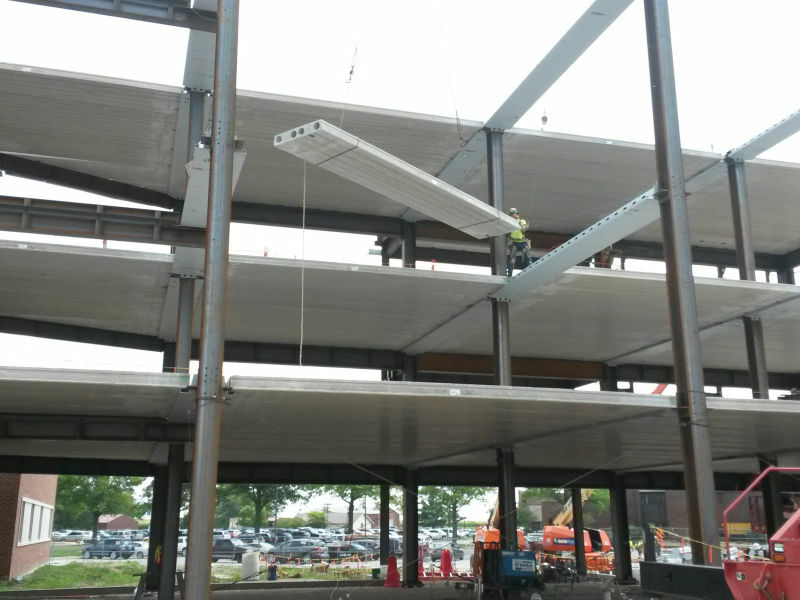 Although close coordination of beams and joist openings to allow access to all the mechanical systems could have been possible, a slim-floor system simply made more sense. When a slim floor is required in a project, a cast-in-place concrete system is often the first thing that comes to mind. 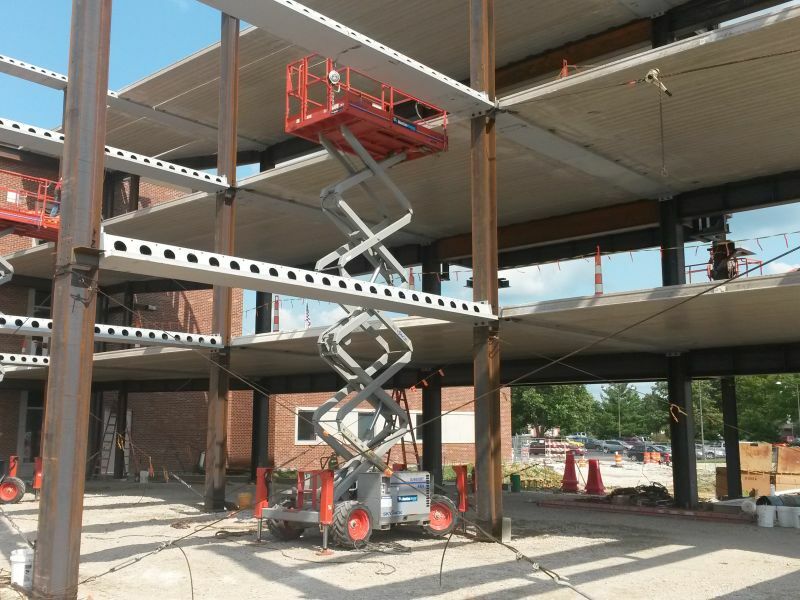 According to Greg Doolin,director of preconstruction services for Harold O’Shea Builders, even if this method of construction has been used for decades, the use of a concrete system in a rural area of Illinois can be difficult. 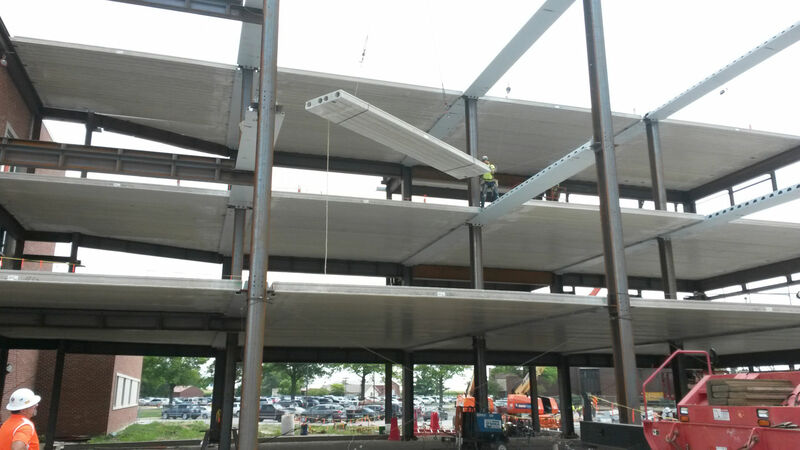 On the design side, structural engineers at KJWW were using Peikko’s composite beam for the first time on the Hospital expansion. 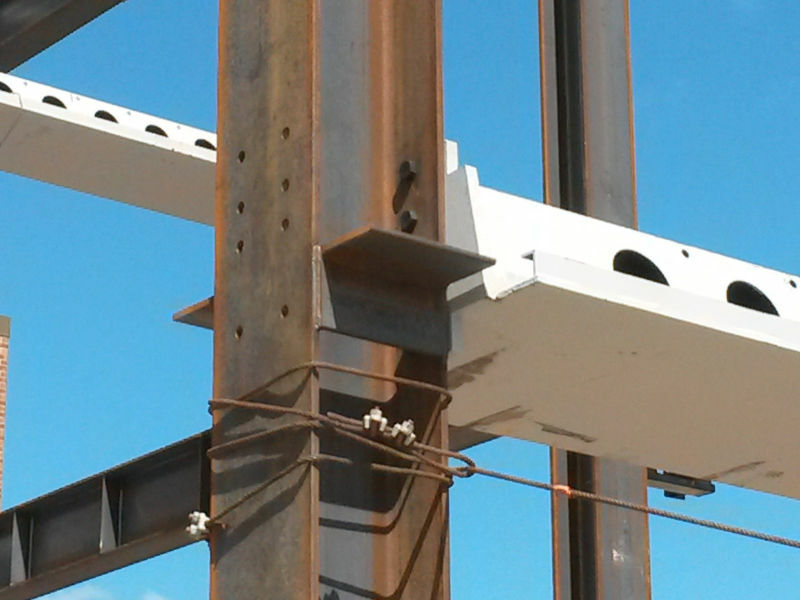 “The structural design of a project using the DELTABEAM® system is very similar to the process used for precast design," reported the firm's blog. 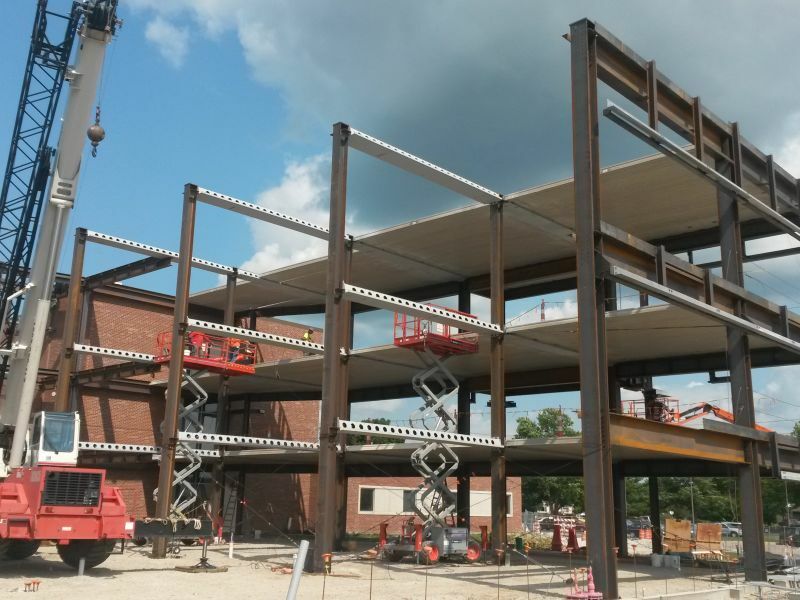 "The engineer of record (EOR) selects the initial depths based on load tables provided by Peikko and supplies the floor loads on the final documents while specifying the final engineering to be performance-based design by the manufacturer. " 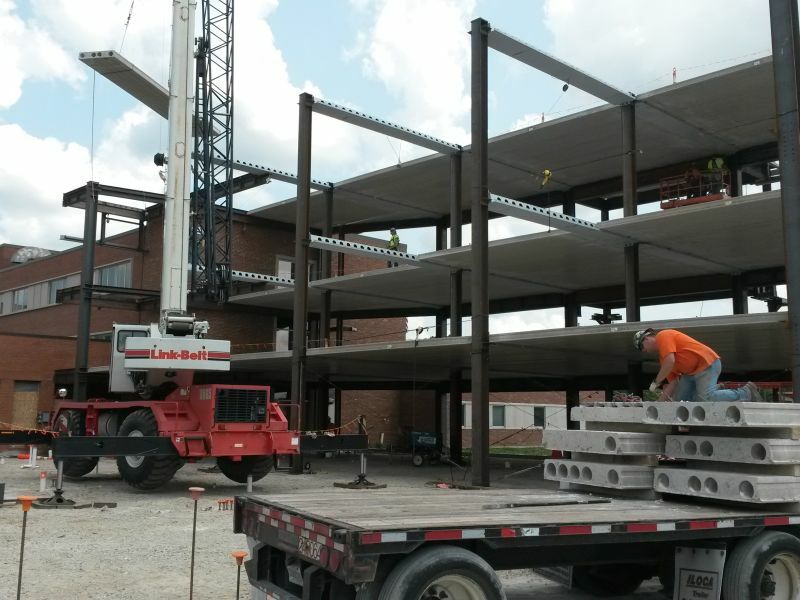 During the design process, the construction manager conducted several cost comparisons to evaluate the system’s cost efficiency compared to other conventional steel systems using composite metal deck. 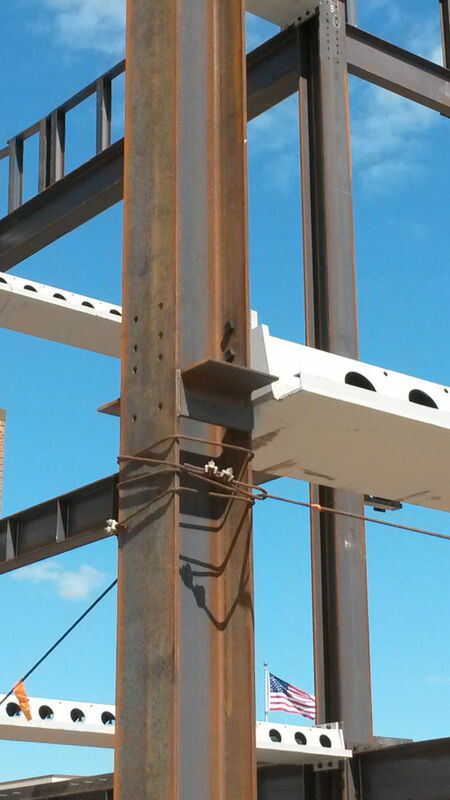 The DELTABEAM® system with a precast floor deck was found to cost $14 per square foot less than a steel frame system. 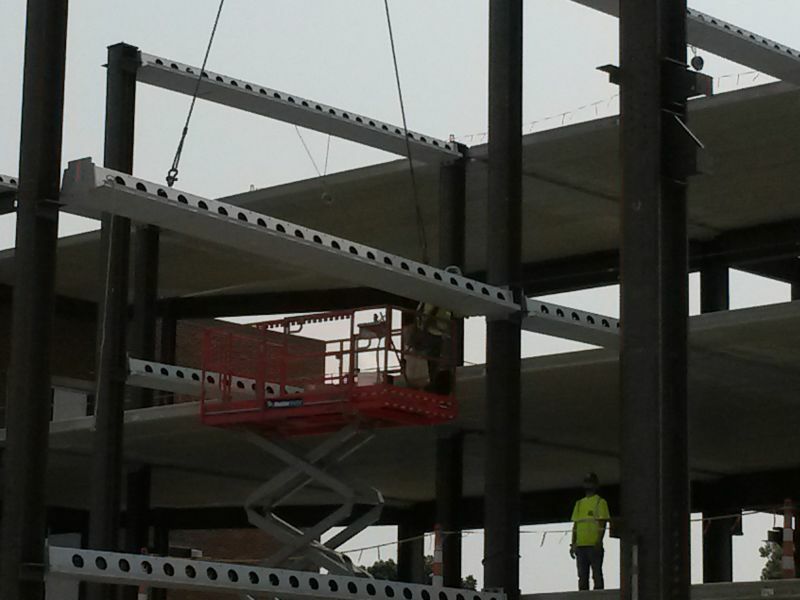 The main reasons for this reduction in cost were threefold: lower fireproofing costs of the system, a reduction in the building cladding due to the reduced floor-to-floor height, and a lower expenditure on elevated concrete decks. 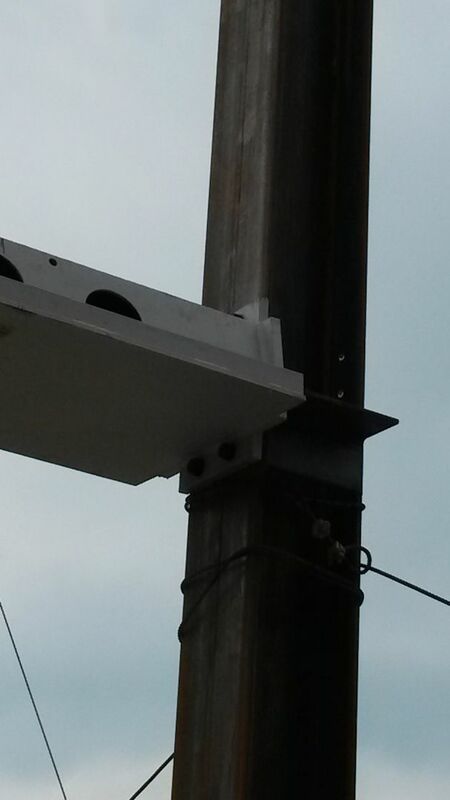 Another obvious benefit was the clean and unobstructed ceiling plenum that the system provided. This was not included in the structural system cost analysis but clearly helped reducing the total construction cost by avoiding conflicts between trades and increasing the overall speed. 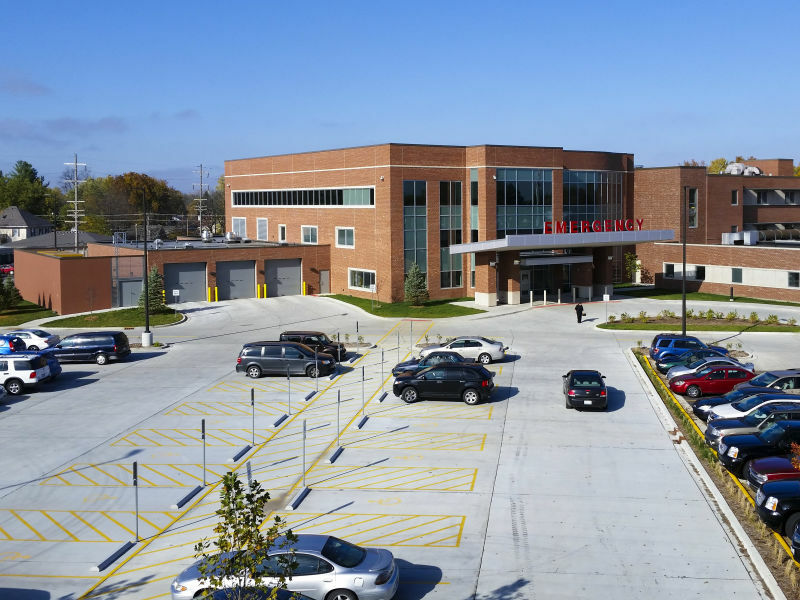 The McDonough District Hospital expansion was completed on schedule and is now open and providing healthcare services to the public. 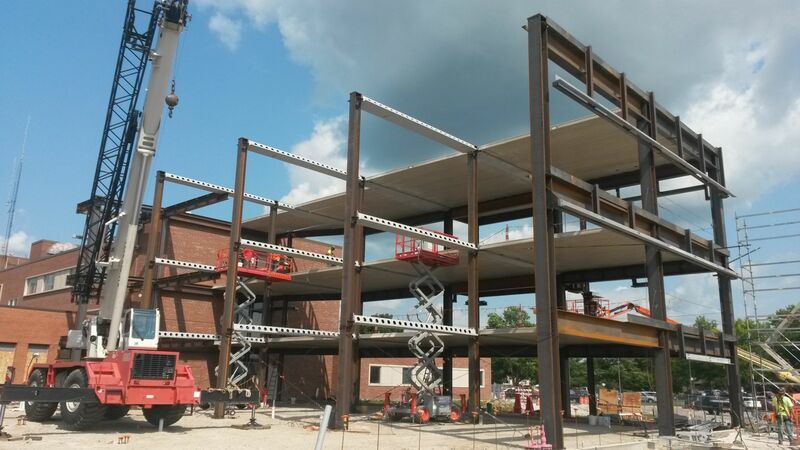 Utilizing DELTABEAM® was a big factor in the project’s success. 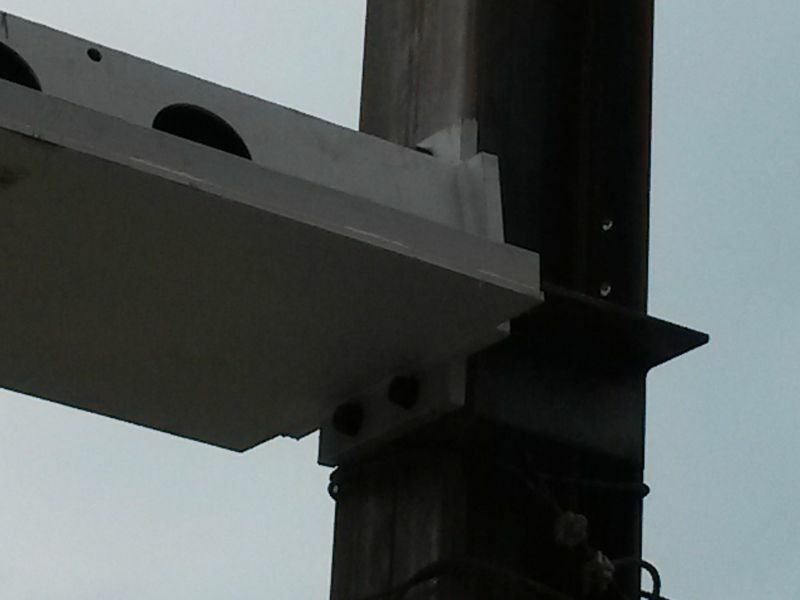 DELTABEAM® was a great solution to this project’s structural, cost and schedule challenges. 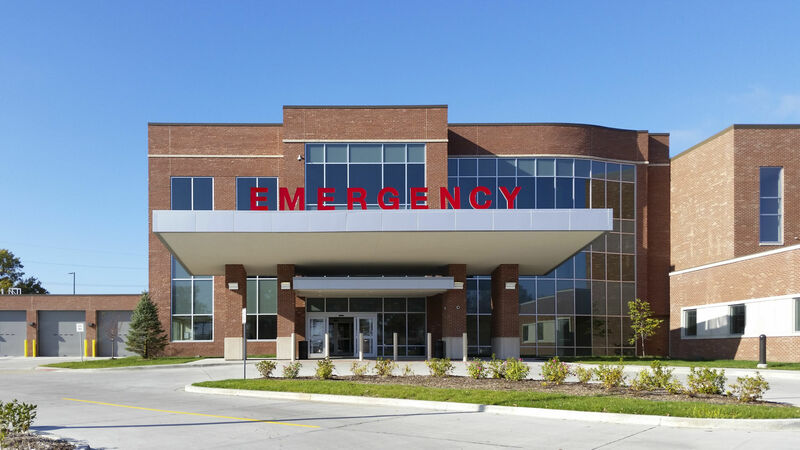 We were especially impressed with the option of the 2-hour UL fire rating for the system without fireproofing. 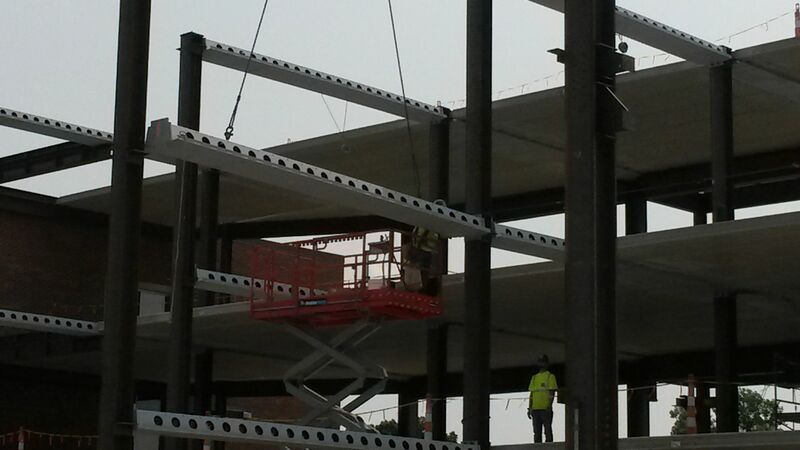 We estimate a probable time savings of two to three months for the structure overall. The cost of the entire project was reduced as well.